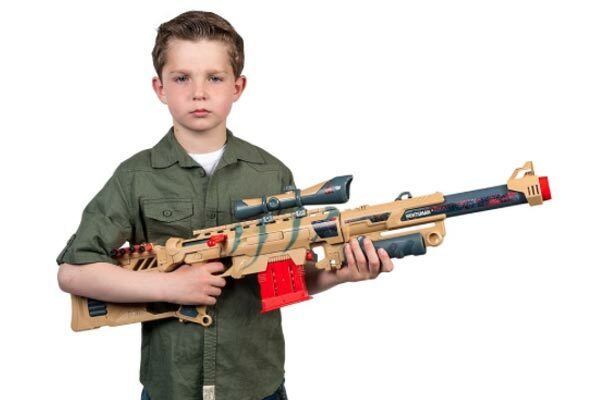 You think an airsoft gun being a toy gun is harmless? That depends. Considering that it can fire BBs at 300 to 500 feet per second and in sudden and continuous bursts, it could do some damage to a person. If you want to play with airsoft guns, safety should be your first priority. One of the critical rules is wearing the right protective safety gear. BBs hurtling at 500 feet per second towards you are no joke. What Is The Most Important Thing To Consider When Playing Airsoft Wars? There is one thing that you need to ensure whenever you are engaging in an airsoft war. You really need to be sure that there is no bare skin in your body while fighting with your ‘enemies’ in an airsoft field. Here is a video that will dramatically show you why you should not leave any part of your body uncovered in an airsoft fight. Did you get the idea? This is exactly the reason why you should always wear safety gear while shooting airsoft guns. Just imagine if this guy didn’t have anything to cover his eyes. Or if he just covered his eyes with cheap goggles, what could have happened? The cheap plastic could have cracked by the force of a BB at 400 to 500 feet per second! He could have been blinded by just one shot. 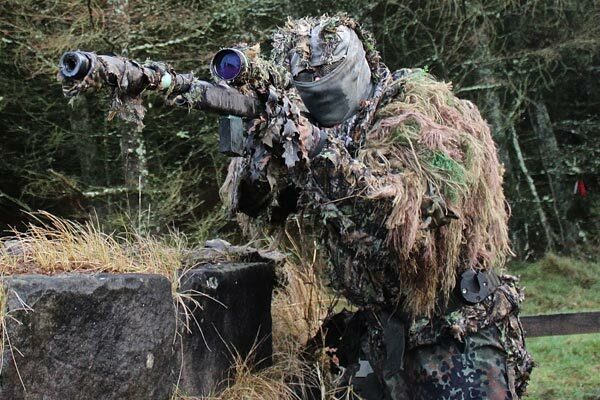 Now that we have caught your attention, you need to know the proper gear that you need to wear inside an airsoft arena. What parts of your body do you need to protect and cover? Every part of your body is important therefore you must not leave anything out. From top to bottom or from your head to your toes, everything must be covered. Your head, neck, shoulders, chest, arms, hands stomach, thighs, legs, feet and all your behind parts – they all need protection. BBs like real live bullets do not discriminate on body parts. Always remember that. The one most important thing that you need to protect in an airsoft war is your pair of eyes. If you are blinded, how can you shoot your ‘enemies?’ And don’t think that BBs can’t blind you. One of the softest spots in your body is your eyes. This is the reason why according to Quora.com, your most important priority is to wear goggles. And don’t buy cheap goggles says Answer.com. Remember that you are engaging in a ‘battle’ with BBs or AEGs that can penetrate soft materials. If you buy cheap eyewear, a fast BB can penetrate the plastic and your eye will be gone. Even a BB flying at 100 feet per second has the ability to break the cheap plastic. So, never go into an airsoft arena without wearing good and strong safety goggles. The next important gear you need to wear is a strong helmet. 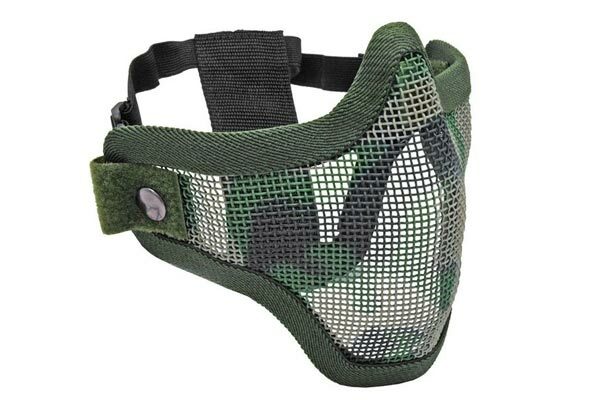 There are plastic helmets that you can buy that are designed to be used in airsoft and paintball wars. They could protect you from BBs. But some say that a real surplus helmet can do better because they are made of real stuff. A helmet will also reduce the pain of being hit with a BB on the head. Surplus helmets are less expensive than replica helmets. But it depends on what you really like. The important thing is to protect your head from the hard BBs that may find their mark. A helmet will also protect your head from accidental falls and bumps that you may experience while fighting. Another important gear you need to wear is a face mask. This gear has a different purpose from the helmet. You also need to protect your face since the ammo from your enemies will be flying around like crazy during the fight. There are some people who think that wearing a face mask is more important than wearing a helmet. Either way, wearing this gear is also important because BBs can find their way into your face. This is what the guy in the video has experienced. There are instances when players have their teeth chipped by BBs. Ears, noses, lips and all other parts of your face are always in danger from these ‘bullets’ therefore they need proper protection that only a good face mask can offer. The largest part of your body that your ‘enemies’ can easily target is your body. That includes your neck, arms, chest, torso, thighs, and legs. They all need to be protected from the flying BBs. If they hit, and your clothing gear is good, you will only feel pinches on your skin, nothing more. However, if your clothing is soft and thin, these bullets may induce a lot of pain, and even blood from your skin. You should wear a jacket, thick enough to prevent those ‘bullets’ from penetrating and hurting you. The jacket must also have a strong collar that can protect your neck. Wear a pair of pants that are thick enough to stop the ‘bullets.’ It is better if the pants have extra pockets for all the gun accessories that you may need. But see to it that the pants are not so heavy so that your ability to move fast will not be affected. An additional gear that you may want to wear is a vest. This gear will add more protection to your chest. Choose a vest with ammo compartments so that you can reload faster during a fight. A pair of good boots is also important when engaging in an airsoft war. The actions are fast and strenuous and just a pair of sneakers will not do. An airsoft war needs you to be fast to respond in any given situation. A good pair of boots is your proper tool to win the battle. Some people who engage in airsoft wars had their hands injured and bloodied because they didn’t wear hand gloves. You must not forget this hand gear. And don’t just wear any pair. BBs often hit the hands of players, so use a strong pair of hand gloves.